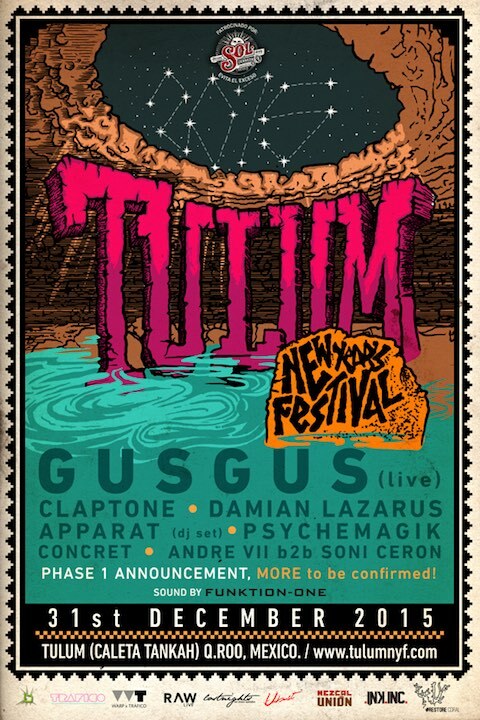 Gus Gus, Apparat, Psychemagik and more playing Mexico’s Tulum New Year’s Festival. As in years past, there will be a New Year’s Eve festival in Tulum, Mexico. This year’s lineup features Icelandic band Gus Gus, plus Claptone, Damian Lazarus, Apparat (DJ set), Psychemagik, Concret, Andre VII b2b Soni Ceron and more still to be announced.